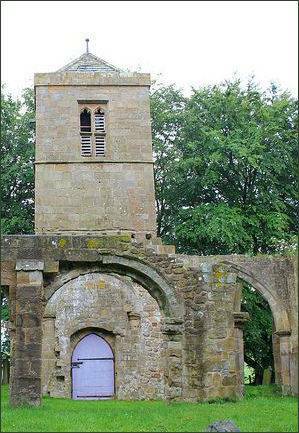 The abandoned village of Whorlton overlooks Swainby and is situated in the Hambleton district of North Yorkshire. The village lies 6 miles to the south west of Stokesley. 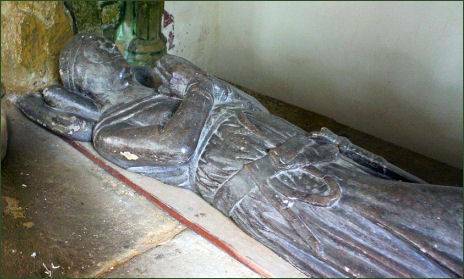 Whorlton is recorded in the Domesday Book as belonging to Robert, Count of Mortain, a major landowner after the Norman conquest and the maternal half-brother of William the Conqueror. It later passed to Robert de Meynell, who founded Whorlton Castle. There is now little remaining of the old village, features include the ruins of Whorlton Castle and the Church of the Holy Cross, a Grade I listed building. A series of garden earthworks, ponds and park occupy the slopes to the east of the castle. The medieval old Church of the Holy Cross, was known in the pre-Reformation era as the Church of the Holy Rood. The old church itself now mainly stands in ruins although the fourteenth century tower, on the side of the nave, and chancel still survive. There also a few arches and other remains of the nave. Constructed in the twelfth century, most of the arches are Norman in style. The Effigy in Whorlton Church represents the second Lord Nicholas de Meynell of Whorlton Castle (pictured right) , a descendant of Robert de Meynell, who died in 1322. It is made of bog oak, is hollow and was originally packed with charcoal to preserve it. It is thought to be the only wooden, London-made military effigy in Yorkshire. The old parish church was used for the last time on 7th March, 1875 and the new church in Swainby, also the Church of the Holy Cross, became the church for the parish in 1877. 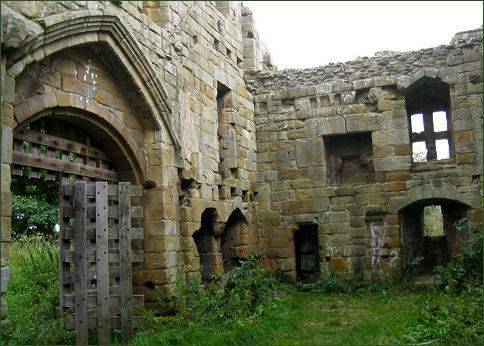 Medieval Whorlton Castle occupies a defensive position at the top of Castle Bank, at the end of the steep spur of the Cleveland Hills. It was built by Robert de Meynell as a typical twelfth century motte and bailey Norman castle, possibly occupying the site of earlier fort of the Celtic Brigante tribe. In the mid fourteenth century Whorlton Castle passed to John, Lord Darcy of Knaith, who carried out a series of changes levelling the motte to provide a base for a new keep with a fortified gatehouse. Whorlton Castle remained in the possession of the Darcy family until 1418, when it was inherited by the Strangways family through the marriage of Elizabeth Darcy to Sir James Strangways. In 1541the castle became a possession of the Crown. and was granted by King Henry VIII to Matthew, Earl of Lennox, who was married to Lady Margaret Douglas, the daughter of the king's sister, Margaret, Queen of Scots. The Countess of Lennox wrote to her niece, Mary, Queen of Scots in the autumn of 1561, possibly from Whorlton Castle, to propose a marriage between the queen and her eldest son, Henry Stuart, Lord Darnley. The marriage proved to be a disastrous one but produced one son, the future James I of England and VI of Scotland, who succeeded his cousin Elizabeth I to the English throne in 1603. The castle eventually returned to the possession of the Crown but fell into disrepair and by 1600 the building was described to be in ruins. 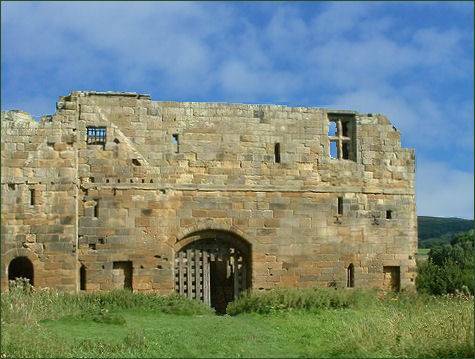 The only remains visible today are the grade I listed gatehouse and traces of the undercrofts of the main building. Due to vandalism there is no longer public access to the castle site.